Nicaragua is a country located in the Central America Isthmus and is bordered by Honduras to the north, Costa Rica to the south, Caribbean Sea to the east and Pacific Ocean to the west. It is located about 11 to 14 degrees north of equator in the northern hemisphere, making it to still lie within the tropics. It boasts a warm and humid temperature. I guess now you start to get an idea of how it's like to travel to Nicaragua. Two of the largest lakes in Central America - Lake Managua and Lake Nicaragua lie on the western side of the country and they help boost the countries rainforest and ecosystem by bring rainfall through evaporation. In the country's rift valley lies the Gulf of Fonseca which boasts rich volcanic soil that comes from the volcanic mountains of the central highlands. In short, the \country is endowed with an enviable bio-diversity. That is how it is going to be like when you travel to Nicaragua. Nicaragua is a representative democracy with a president. It has enjoyed a stable political environment and steady economic growth in recent years, making it one of the most favorable for tourists. Of its 6 million people, there are Native Americans from the Mosquito Coast, Asians, Africans, Americans, Europeans and Arabs. It is a melting pot of world's cultures and a tourist to this country will be amazed how well each of the cultures has integrated into the entertainment, gastronomy, political, arts, festivals and way of life of Nicaragua - and yeah, that is how it’s going to be like in Nicaragua. 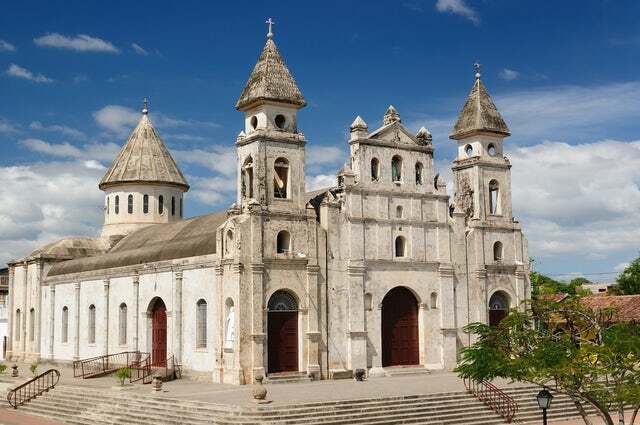 If you are a tourist in Nicaragua, you are well advised to start off with the colonial towns of Grenada and Leon. They are as historical as any city can be. Other towns you can visit include; Masaya, Rivas, San Juan del Sur, El Ostional, San Juan River, Ometepe, Mombacho Volcano, the Corn Islands. In addition, you can surf and engage in eco-tourism. Tourists are advised to park for the jungle as well as for the night scene. Make sure you have khakis shirts and trousers/shorts, sun glasses, sunblock lotion and insect repellants for your jungle excursions. Carry some flip-flops and beach wear for your stay at the beach; and also some evening attire for your entertainment. If you ask me how it’s like to travel to Nicaragua, I would tell you it awesome. Make the country your next holiday's destination and you will never regret.